Vitamin D Adjusts Epigenetic Marks That Could Hinder A Baby’s Health | What is Epigenetics? Even though it’s common for expectant mothers to have low vitamin D levels, it’s essential to the health and proper development of the baby. A low amount of vitamin D is associated with poor fetal growth, childhood obesity, bone density, and bone mineral content. Interestingly, key functions of the placenta – like transporting nutrients to the growing baby – are controlled by the expression of genes, which is mediated by vitamin D. Researchers have now discovered that this vitamin might epigenetically influence the functioning of the placenta via DNA methylation. A group of scientists from the University of Southampton in the United Kingdom recently conducted a study to investigate whether short-term exposure to vitamin D made any change to the epigenetic signature of placental villi, which are small, finger-like protrusions in the placenta that help to increase contact with maternal blood. After obtaining ethical approval and informed consent, the researchers collected human placentas within 30 minutes of delivery. They cultured placental villi fragments in 25-hydroxyvitamin D for eight hours. Then, they measured genome-wide DNA methylation in order to identify sites that were altered due to the treatment of vitamin D.
The research group found that over 1,500 genes contained significantly upregulated CpGs and more than 2,000 genes contained significantly downregulated CpGs as a result of vitamin D. They discovered that the pathways affected by vitamin D exposure included those related to transcriptional regulation, development, and other common epigenetic mechanisms that can control the expression of genes known as histone methylation and histone demethylation. Vitamin D was ultimately shown to lead to rapid changes in placental DNA methylation. “In addition to its role as a transcription factor, vitamin D may act to change gene expression in the placenta by altering methylation status,” the researchers reported. According to the American Pregnancy Association, vitamin D now has extensive research supporting its role in immune function, healthy cell division and bone health. Over 40% of people in the U.S. are deficient in this crucial vitamin. Individuals can boost their vitamin D levels by eating foods that are rich in vitamin D and by getting a sensible amount of sun exposure. Certain foods include salmon, herring, cod liver oil, mushrooms, egg yolks, and fortified drinks and food like milk, orange juice, and cereals. Supplements are also available, but receiving the proper dose is incredibly important, especially for expectant mothers. In light of these results, changes in certain DNA methylation pathways due to vitamin D could potentially affect the placenta in many ways. Although further research must be done to uncover the possible impact, this study poses an interesting look into the benefits of vitamin D and expands on the dangers of having too little of it. The group of researchers indicates that future work should compare the short and long term effects of vitamin D on placental DNA methylation. 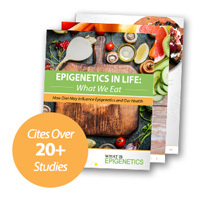 Although the risks children face resulting from vitamin D deficiency are well-documented, this study provides evidence for an underlying epigenetic mechanism that may be at play during pregnancy. Source: Brogan, A. et al. (2017). Short term vitamin D exposure alters methylation status of term placental villi. Placenta, 57:262.